Great service. Technician was friendly and knowledgeable. Mike arrived when he was scheduled. I received a message that he was 30 minutes away. He spent time searching for the reason our furnace didn't come on several times in the past week and couldn't find way. He cleaned some of the parts and explained what he did and to call if problem came back. I was pleased with his knowledge and experience. 4 Seasons was very professional and informative throughout the diagnostic process of fixing our furnace. I called 4 Seasons after receiving an outrageous quote from Sierra Air in Reno, NV. After a 3 hour thorough evaluation of our furnace, we saved $300 that Sierra Air would have charged us, even after a 10% discount was assessed for being a veteran of the military. I will recommend 4 Seasons to all of our friends and family in the area from now on. Very knowledgeable, professional, nice and polite. Just a little out of my price range. Although I have moved several times, I always call 4 seasons for any AC/Heat needs. They are a great bunch from setting up the appt to the actual service. ; always professional and kind. The tech that was initially scheduled was stuck on another call, so they sent someone else so I wouldn't have to wait so long. They are so busy right now and I'm so appreciative that they were able to send someone else....because we were dying of heat! THANK YOU! Mike M. was great and very professional. He was able to diagnosis the problem with my AC right away and fixed it very fast. 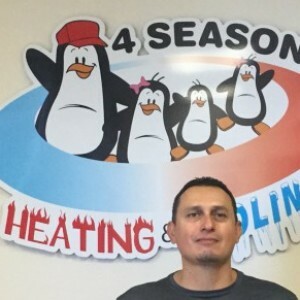 I would definitely recommend Mike and 4 Seasons heating & cooling. Mike, Tim, Mark, did a excellent job. 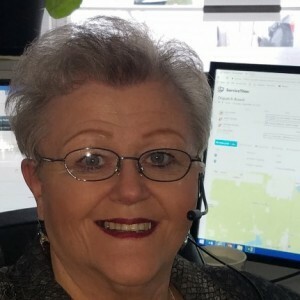 Mike and 4 Seasons Heating and Cooling are very professional, give fantastic service and are my only choice for hearing and air condition maintenance and service. Best in Reno!!! Friendly and knowledgeable. Seemed to be very thorough. Very professional, act knowledgeable and straight to the point. Gave me many options and advice. I have been a customer for more than a year. My experience with this company has been nothing short of great. This company and its employees have been honest and reliable each time I have dealt with them. 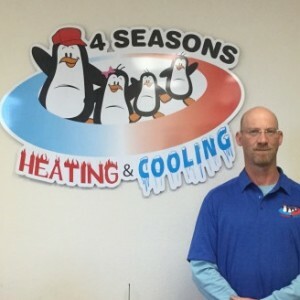 I would definitely recommend 4 Seasons Heating and Cooling for all HVAC needs. Very professional and polite experience. Reasonable price as well. Will use them again! In this age of uncertainty, these guys are like Mother Teresa on steroids. Punctual, polite, knowledgeable, remarkable for a Flyers fan.